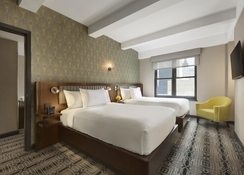 Edison Hotel is situated in the heart of New York City, making it easy for guests to visit several of the city’s attractions. 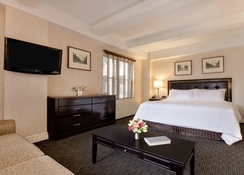 Whether you are looking for a comfortable and affordable classic room or an expansive signature room, you will find them all according to your preference. Guests of the hotel get access to the state of the art fitness centre. Foodies will not be disappointed either as there are plenty of dining and drinking options in and around the hotel. Those who want to conduct meetings, business events or social events can take advantage of the Edison Ball Room and Edison Conference Room. 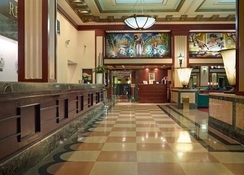 Edison Hotel is excitingly close to numerous shopping centres, bars, restaurants and tourist attractions. Those who want to satisfy their luxury shopping needs head over to Superdry, H&M, J. Crew, Anthropologie, Saks Fifth Avenue, Uniqlo, Lord & Taylor and Macys. The Newark Airport is 25.9km from the hotel. 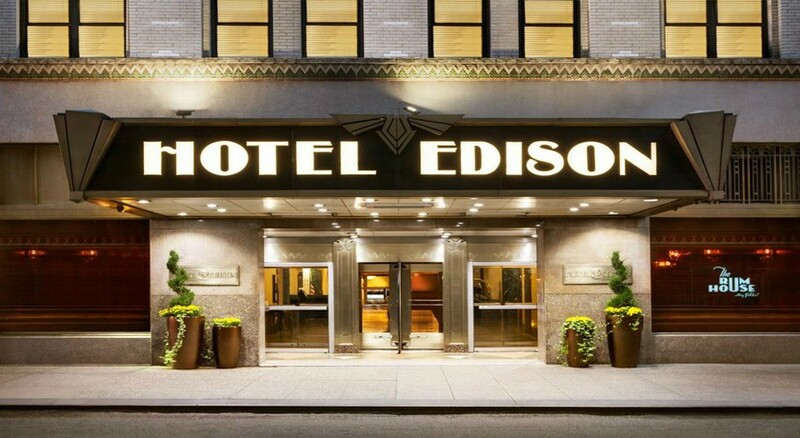 With over 800 guestrooms, the Edison Hotel has various types of accommodation for the discerning traveller. The rooms are categorised as Classic Rooms, Classic Junior Suite, Signature One Queen Bed, Signature Two Queen Suite, Signature One King Bed, Signature Suite, Signature Guest Room With Terrace, Signature Two Queens With Terrace, Signature Family Room, Signature Suite With Terrace, Presidential Suite, Accessible Queen Guestroom, Ada One King Bedroom Suite, Signature Two Queens Beds, Signature Suite Two Queens Beds With Terrace and Signature Suite With kitchenette. All rooms have the necessary amenities to make you feel like home. 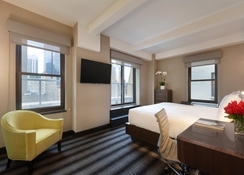 Amenities include USB charging ports, premium Wi-Fi for up to three devices per room, in-room Keurig coffee/tea station, custom marble bathrooms with glass showers (bathtubs in select rooms), C.O. 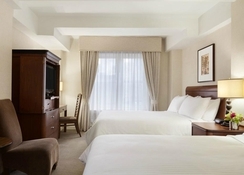 Bigelow bath amenities, Frette linen, iPod-compatible clock radios, in-room safes, daily newspapers (Monday-Friday) and mini-fridge available in some Signature Suites. Edison Hotel’s restaurants and bars go beyond the borders of USA for pulling cuisines from across the world. The restaurants and bars in the hotel include The Rum House, Bond 45, Friedmans among others. Guests can take advantage of the in-room service offered by the hotel. The hotel has ample sports and leisure facilities to keep guests engaged throughout the day. There is a fully-fledged fitness centre, where guests can maintain their fitness level. If you are looking to celebrate your wedding, anniversary or birthday, then the Edison Ballroom will surely catch everyone’s attention.